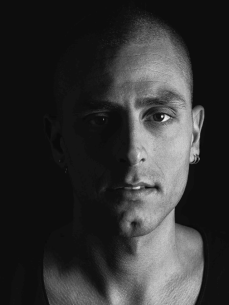 Born and raised in Livorno in 1985, Marco is considered to be one of the most promising Italian talents. In just such a short time, thanks to his record productions that are always supported worldwide by the best artists in the clubbing scene, he succeeds in affirming himself straigt to the sector of the international major’s level. Studio partner’s and his friends are Ilario Alicante and Romano Alfieri, in 2007 he began to compose his own music and immediately the desire grows in him to publish his first release and he did "Wet June ep" witch was released in November 2008 receiving a lot of recognition and was a great success! Marco’s talent is revealed and he is hungry to do more, and he did it again touching the spirit of the time as he released "Malaysia / Muar ep" (one of his ep’s numerously played by Richie Hawtin in 2010) on Break New Soil, Gregor Tresher's marvellous label. This allows him create a close collaboration which brought Marco to join the Dj booking agency “family affairs” and work together with some of the most famous & high-ranking international artists of today.